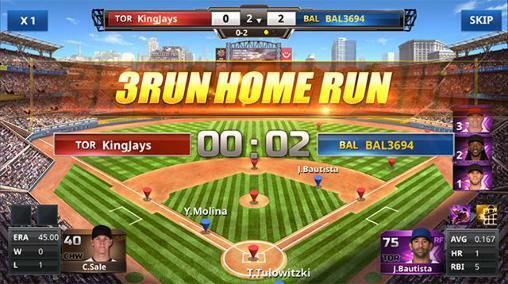 Baseball comes to life in 9 Innings Manager CREATE YOUR OWN ALL-STAR TEAM! Over 5,000 registered MLB PA Players Recruit your favorite players through TRADES and DRAFTS Sign and renew contracts with the best players Scout players through FA Market to keep your team strong! RECRUITMENT IS JUST THE BEGINNING! It’s your duty as the GM to come up with the most efficient game strategy: manage your roster, pick fitting skills for your players, and address the media and more! Compete against users around the world for a true fantasy baseball experience! 9 Innngs Manager will run as long as you have 1GB memory on the device.